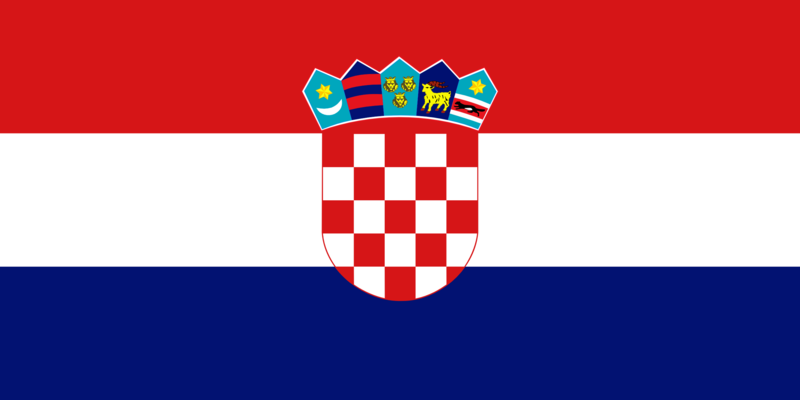 After several days searching, I thought was going to get nowhere with Croatia. This tour began as an exploration of the coasts of the countries that are washed by the Med, but for this next section of the journey I am taking music from anywhere in the country I am exploring. I was just about ready to give up when I remembered the most underused resource in this journey – Ethnocloud. If you are following this journey or are interested in world music of any stripe, I urge you to sign up and log on. The first suggestion was Veja – and excellent they are too. Veja come from Pazin, about an hour’s drive from the coastal resort, Pula, 40 minutes from another seaside town, Poreč on the Istrian Peninsula. 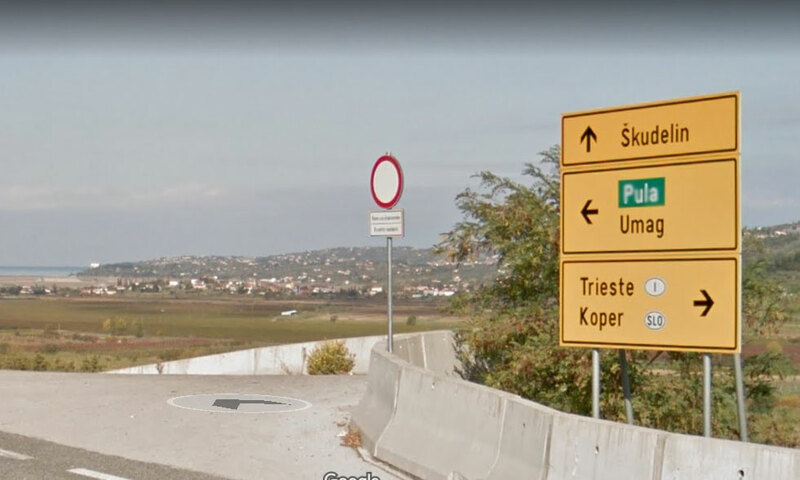 We get there from Koper, Slovenia across the border crossing at Dragonja. This is a hard border between two EU member states, Croatia is not in Schengen, the currency in Kuna. Have your passport ready. This is the first time since Spain we have needed it. Once started, the research gets a little easier. Up to this point I had only managed to find fairly predictable euro-pop music, some slightly more interesting stuff from the 1960s (still not what I was looking for) and a hint of the turbofolk ahead (hold your horses; we will make a special visit to Serbia for that). When I began the research I had found Lovely Quinces, all very nice and accomplished, but Croatian Americana is outside this search parameters. I’m putting a couple of songs on the list anyway. The Elephant and the Moon [Bandcamp] from Zagreb fall into the same broad category. Good, but not part of this search. Josipa Lisac [Facebook] has been part of the Yugoslav and Croatian music industry for decades. Her style has changed many times. I saw her play about 18 months ago and she and her band were tremendous. Really entertaining, excellent music, powerful performance. There is one song on the playlist. I enjoyed the gig, but this is not generally my sort of music. Another mention of Turbofolk. We will discover more in a later episode. I can only find one album by Zykopops. That’s disappointing, I really like this odd, eccentric album. Listenable, “foot-tapping”, musically literate. proficient. It’s more genial than genius. A mood lifter. Are they still playing? According to Facebook “Zykopops plays in July at Trad in Etno Festival in Pazin, Croatia!” (16 May 2016). I’d go see them. Then later … Afion [Facebook] are a much more traditional band than Zykopops – melodic, references to early music, serious. It was the photos on Facebook that did it. Compare Afion and Zykopops. So it appears that my two favourite Croatian bands are in fact … more or less one. Afion are from Zagreb. Further south, down the coast line to Oklaj which was home to Mile Krajina who died in 2014. This is very traditional music – and to my untrained ear, hard to listen to. Mile played the gusle, a single string bowed instrument found in this part Croatia, Serbia, Albania and as we are as the crow flies 25km from Bosnia, I guess you will find it too. Oklai is the Dinaric Alps or Dinarides, a mountain chain which spans from Italy in the northwest, over Slovenia, Croatia, Bosnia and Herzegovina, Serbia, Montenegro, to Albania in the southeast. Further north in the holiday town Pula and NLV [Bandcamp] and [Facebook] One album so far – very promising. Not ethno-folk-world, but as I have said many times on this journey, my rules, my choices. Back to traditional music with Dunja Knebl. “The majority of the songs she sings are from Croatia (especially from the region Međimurje)”, tucked up in the border region of eastern Slovenia and Hungary. “She was born in Zagreb … After completing her studies of English and Russian she spent most of her life working as a translator and language teacher, in her free time she sang folk songs to her friends. She began performing professionally in 1993, and released her first solo album in 1994, In 1997 she was nominated for the music award Porin, the Croatian equivalent of a Grammy, in the Best singer category.” And her recording and performing career continues. I am sure there must be more to Croatia’s music. I am always open to being better informed. If you can tell me more, educate me. There is some to avoid, to be frank Thompson for example. Not my thing in any shape of form. Do I have an album to add to the Best Of the Med? Not sure – I’ll have to come back another time. But I hear Bosnia calling and the sounds of sevdah. I have been looking forward to this. I have only two books in this part of the journey, but I have a strong feeling that once this trip is over, I’ll be returning for more. First The Only Witness To Beauty by Miro Gavran. I had to get a Kindle edition. This is a wonderful book. The author is prolific, so I will be looking for more. by EDO Popovic, EDO. I’m beginning to find the characters interesting. I have no idea where it is going.